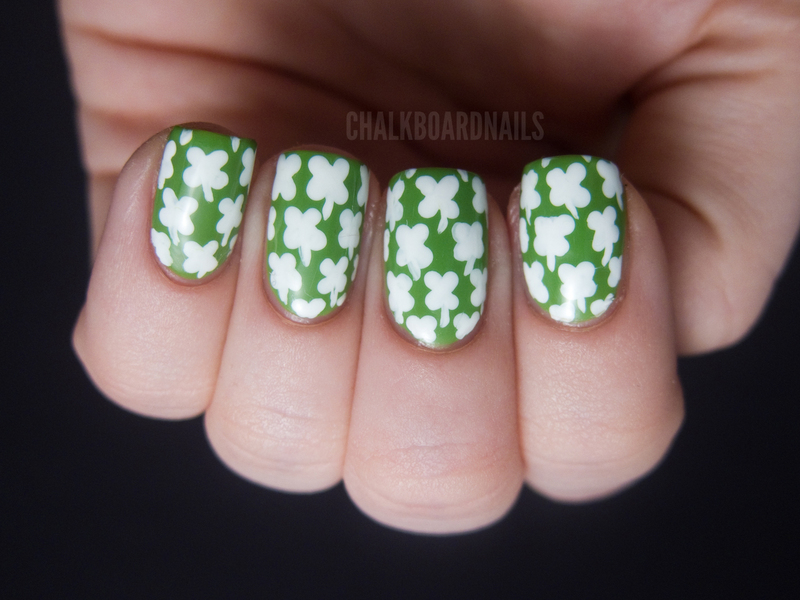 Then, using a dotting tool and a very small nail art brush, I freehanded on the shamrocks and their stems with Konad Special Polish White. As I've said before, it's a great polish for nail art because it is so pigmented! And, well... that's about all I have to say about this manicure! It's a pretty simple full nail pattern! very cute...you have such a steady hand and patience with using a dotting tool!! Wow, i'd never have enough patience to do that, but it looks so cool! Wow I bet that took forever! Looks amazing!! It does look a lot like stamping! Love this! So cute! You are awesome at freehand! I thought this would have been a stamp. This would make a fantastic accent nail!!! Love them! This is so awesome!!! The shamrocks are so neat and crisp. Love it! Love this! 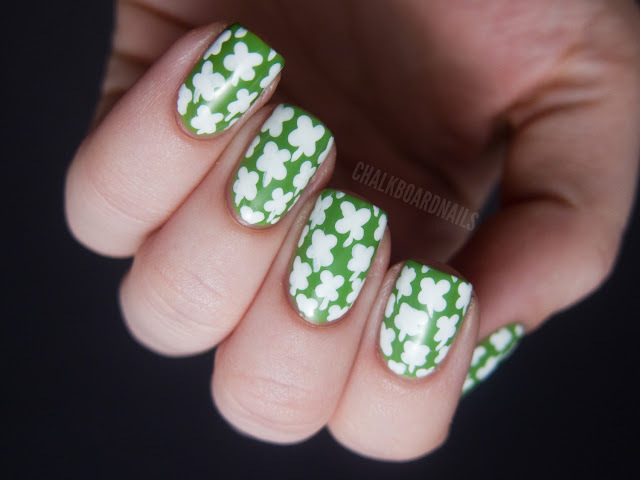 The best St. Patrick's Day manicure I've seen thus far. 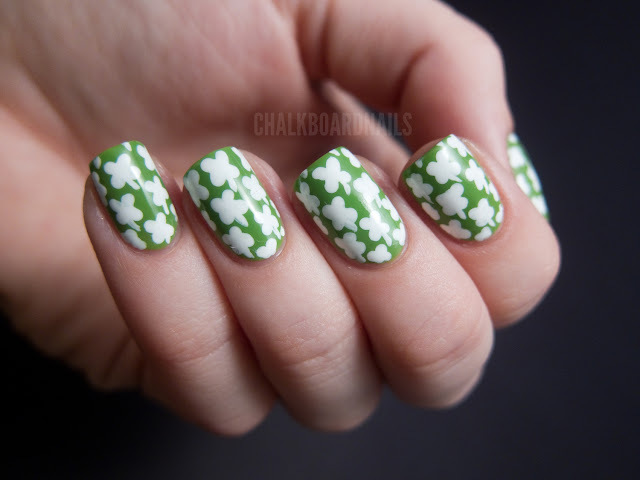 My goal for my St. Patricks Day mani was this but instead of white four leaf clovers I was going to do black. Once I got my dotting tool to my nail though I couldn't get them small enough. :-( Instead each finger has one giant four leaf clover on it. Can't wait until my hands get as steady as yours. Nice green and white combination.